Very nice work! Thank you. 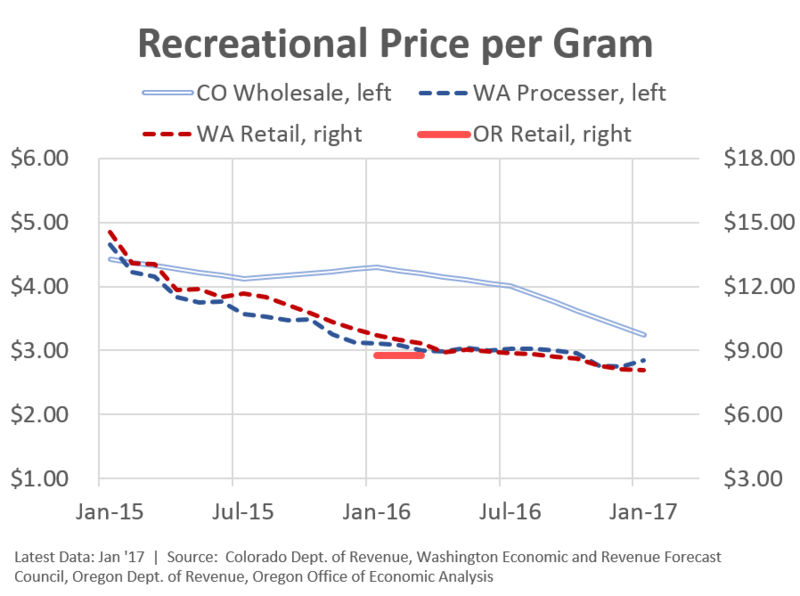 How does the legal, retail price per gram compare with the former illegal, street-corner price? Be interesting to see if the “if you legalize it, the price will come down” mantra is correct. Hi Jerry, Thanks for the question. I don’t know offhand. There’s no official data on illegal prices, naturally. But we’re still working on what data provider would be best to get pricing trends. There are a few websites reporting illegal prices, and a few new companies selling prices by product type in the legal world based on retail scan data. 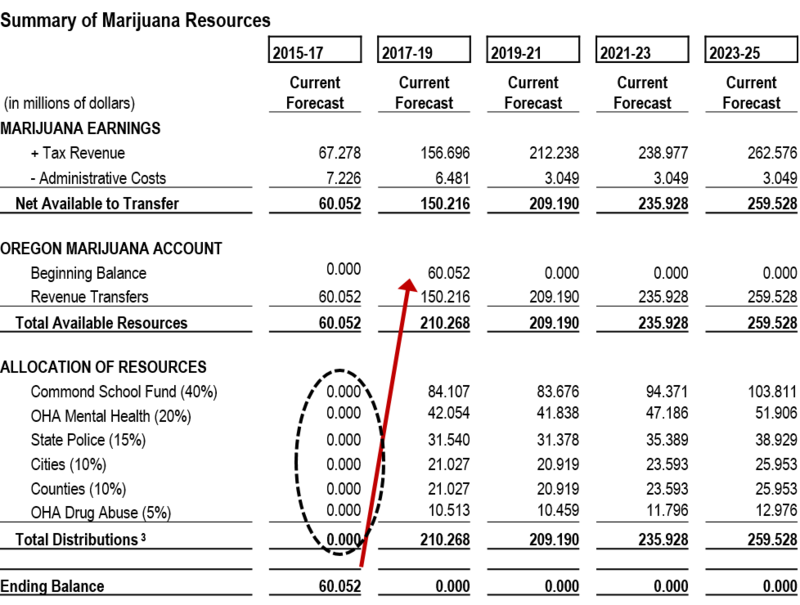 OLCC will have tons of this type of data the further we get into the legal world. So I don’t have an answer for you now, but it is certainly something we would like to know! And will work on moving forward. 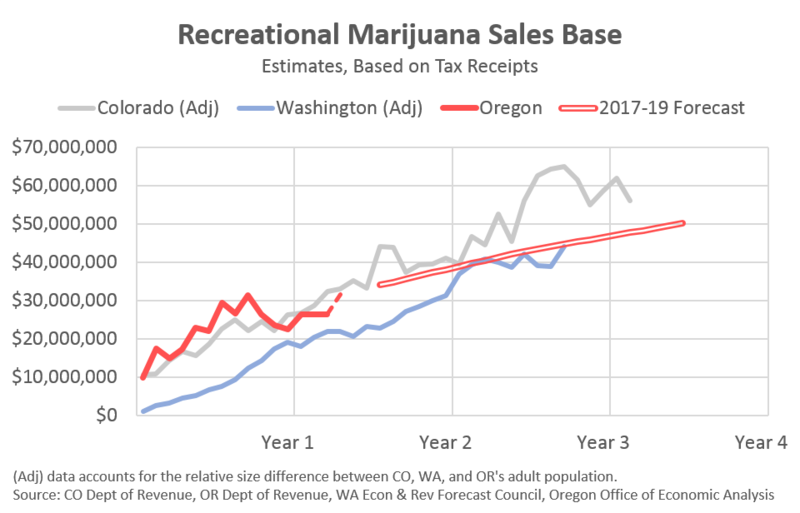 Jerry, Keaton Miller at University of Oregon’s econ department is quickly emerging as our leading expert on this both in terms of your question and in industrial organization questions of the legalized drug market. 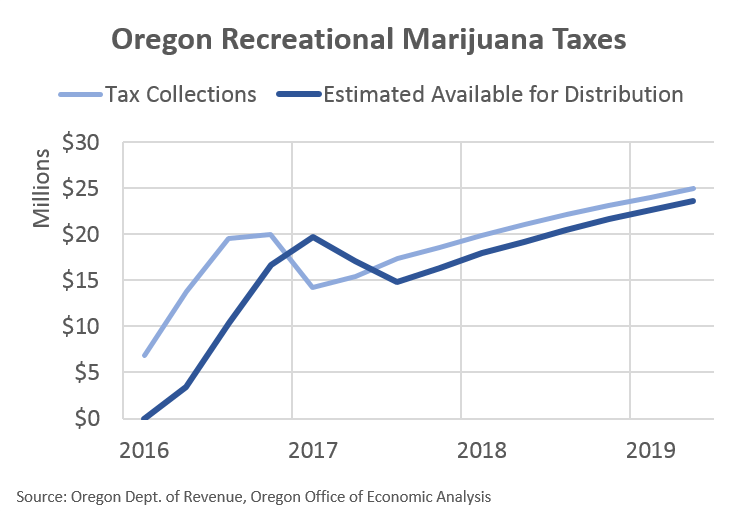 Your analysis did not mention the fact that legalization in Oregon also included what some might describe as generous allowances for legalized home growing. 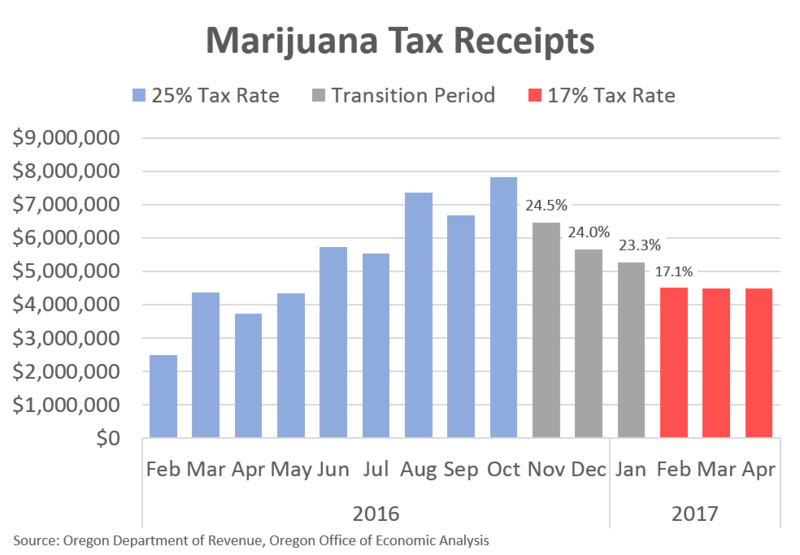 If more users begin to rely on legally homegrown marijuana, it seems like that could have a significant impact on tax revenues. Thanks Bill! That’s certainly a risk, but it really depends upon what size of the market homegrown products are. Will look into that.